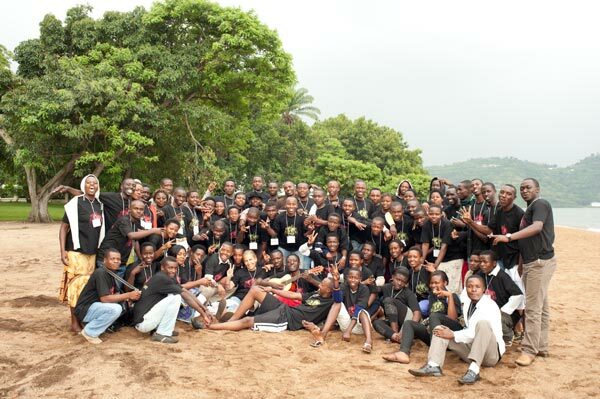 AWOO….peace camp 2011 in Gisenyi was a big hit, especially the afternoon we walked to Lake Kivu – for most of the youth participants it was their first trip to the beach and a chance to try swimming and playing in the water. It was a wonderful way to end the morning session on trauma and mental health which was led by Paulette Baraka, a professional counsellor and psychologist who specializes in issues faced by orphans and vulnerable children. Paulette’s workshop was one of the highlights of camp. Another highlight was the workshop on photography led by Johnny Lam. Five new gafotozi were added to the original crew. During the week they worked very hard to develop a multimedia presentation on “water” which they then premiered on the closing night of camp. We also enjoyed the presentations of youth peace clubs including Solace Sowers, BBA, Club Unity (Mubago), Peace & Love Proclaimers. 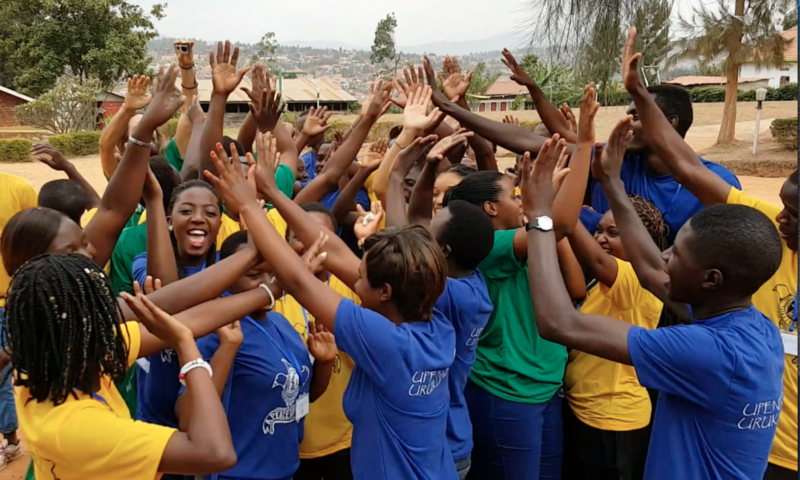 We thank all of our donors and supporters who helped us to bring together double the number of youth from the first camp (held in 2010 in Nyange). This year, we were very happy to have almost 80 youth from across the country (and even a few participants from the Congo) for a week of learning, mentoring and fun through a variety of peace activities including drama, photography, scriptwriting and sports. More news and photos from camp will be posted shortly. What a great blessing this camp has been to Rwanda. Now, get out there all you sowers of the Word – Multiply the message!